Marisa Tangeman is the current Editor in Chief for the Campanil. She has been on staff since Spring 2016. 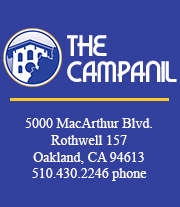 Contact her at eic@thecampanil.com.